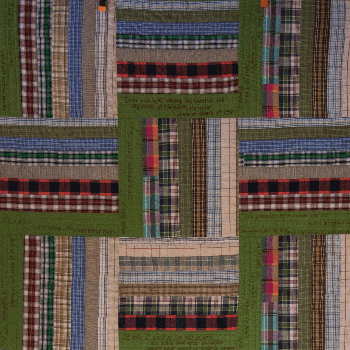 The Cascabel Community Quilt is hand crafted each year by members of the Cascabel Community and is the Crown Jewel of the Community Fair. 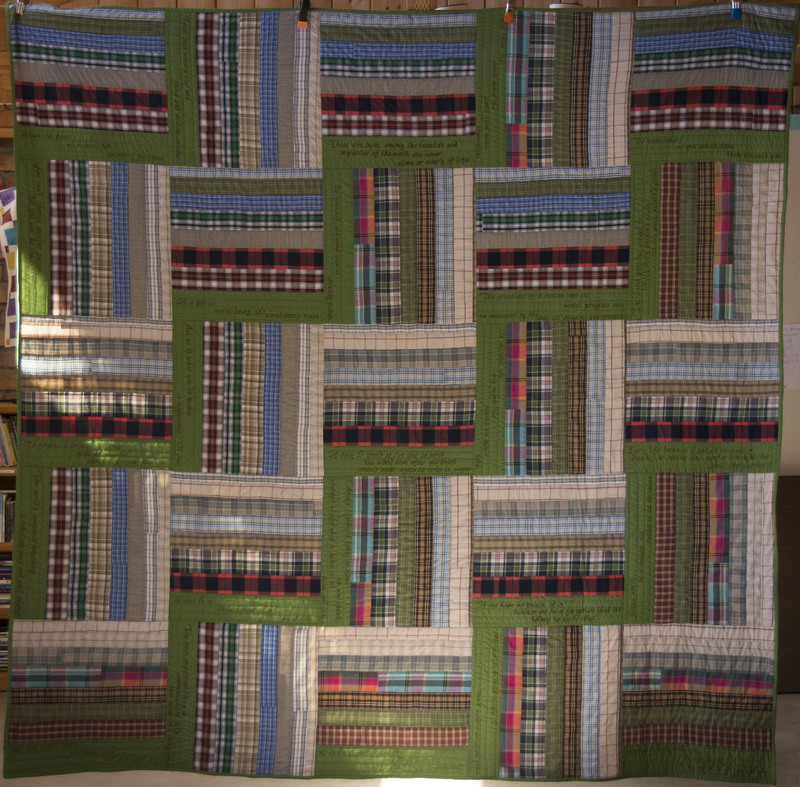 Enter the Dollar Raffle for your chance to win. 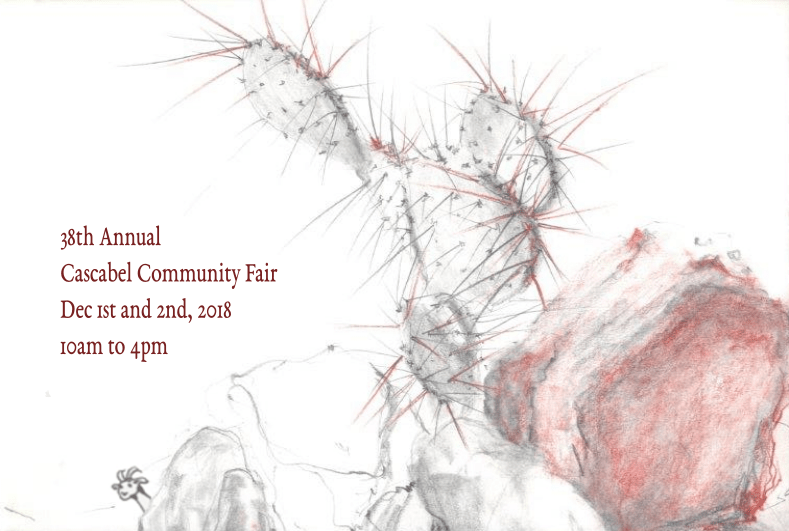 The Cascabel Community Fair is a unique celebration of rural Arizona beauty, history, hospitality, diversity and artistic expression in an awe-inspiring outdoor setting. Three sites within easy strolling distance provide variety and adventure for the whole family. Oasis Bird Sanctuary conducts scheduled tours of their exotic birds and sells products that support animal rescue efforts. Akasha Center of Light offers original paintings by the resident artist and unique Christmas decorations. 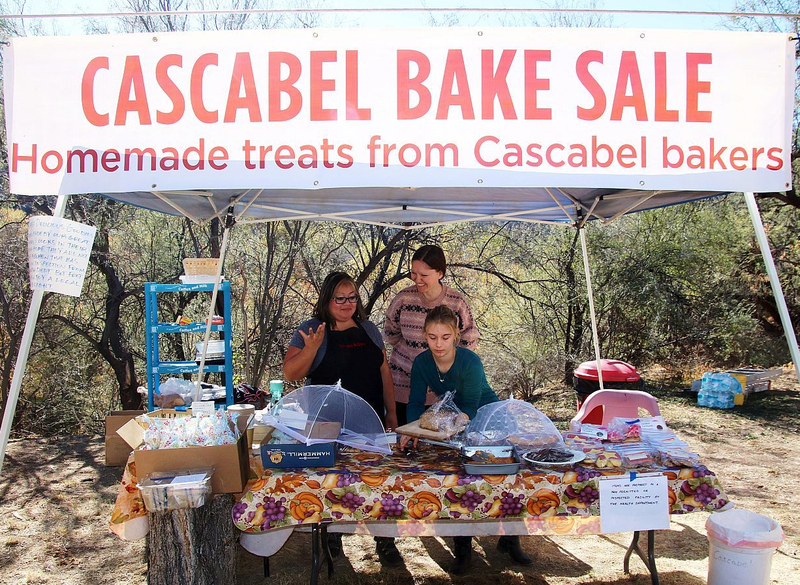 Cascabel Clayworks – a cottage industry and homestead established in 1970, will host an open house. 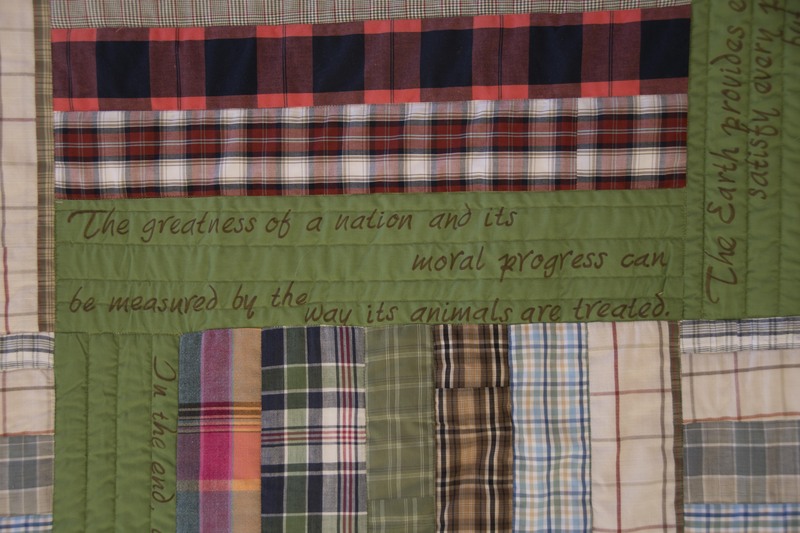 Joining the locals will be many other fine artisans and craftsmen displaying their work in fiber, metal, wood, jewelry, clay, leather, photography and more. You will enjoy viewing the wide variety of locally made products and fresh farm produce displayed under the mesquite canopy. Enter the Dollar Raffle for a chance to win a multitude of prizes. Other great prizes are donated by vendors at the Fair and by local businesses and residents.The Raffle drawing and announcement of winners will be Sunday afternoon. 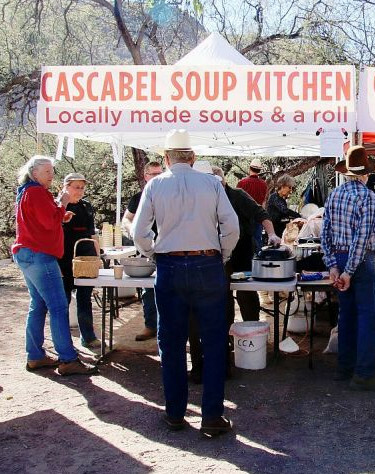 Event sponsors Cascabel Community Center and Community Garden will bring Homemade lunch and desserts. Music line up for 2018. 10 am to 1 pm. Ameripolitan, honky-tonk, outlaw country, Western swing, rockabilly. Way Out West is Emmy Creigh, guitar and vocals; Slim Rost, bunkhouse bass and vocals; and Tom Poley, banjo, guitar and vocals. They are from Tucson. 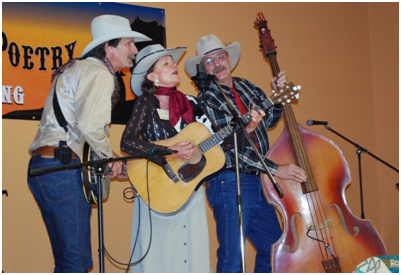 Way Out West can take you out and to the West with their classic songs of cowboys, songs of Hollywood’s singing cowboys, and their own mix of cowboy and Western tunes played with a bordergrass sound! Traditional songs featuring vocal harmony and jamming with local musicians present at the fair. From noon to 3 pm. Oracle Ridge Band. Four-piece classic country and roots-rock band with mandolin, pedal steel or electric guitar, bass, drums. This is a great dance band! Check us out on Youtube . The Artwork for this years postcard is by local artist Barbara Clark. Cascabel is located along the banks of the beautiful San Pedro River about an hour and a half drive from Tucson. Take I-10 through Benson to exit 306. Head north through Pomerene. Follow the signs for 20 more miles on a scenic country road. The last five miles are unpaved, so take it easy and enjoy the scenery. Click here to see the location on a map and to get directions. Handicap parking is available. Please remember, rural Arizona still has gravel roads. You’ll be traveling five miles beyond the pavement. Take your time, keep the dust down, and enjoy the scenery. We look forward to seeing you and sharing some traditional rural neighborhood fun. For more information, call the Clayworks at 520-212-2529. Midvale Telephone Exchange will provide a Wireless Internet Hot-spot for the fair.